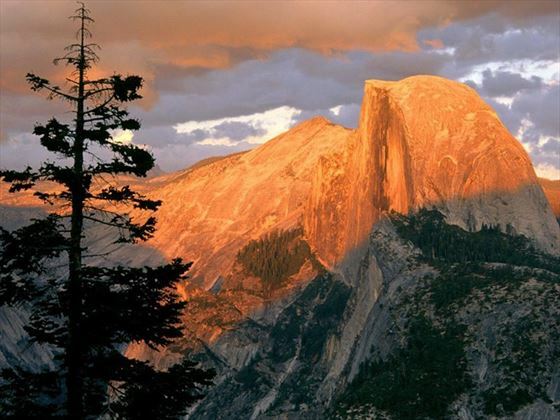 Glacier Point, an overlook with a commanding view of Yosemite Valley, Half Dome, Yosemite Falls, and Yosemite’s high country. 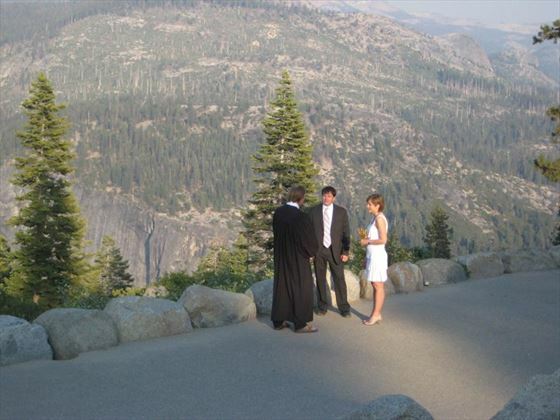 This location offers a memorable backdrop to any wedding ceremony or romantic moment. Weddings performed Monday to Friday (depending on availability) between late May through October or November, depending on weather conditions. Legally you could get married the same day as you arrive! However, we recommend you have a couple of days to get used to any time change and orient yourselves. 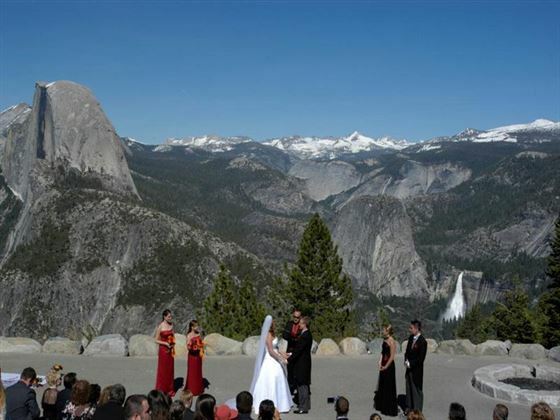 You will need to travel to your Glacier Point wedding venue by car (transport not included). 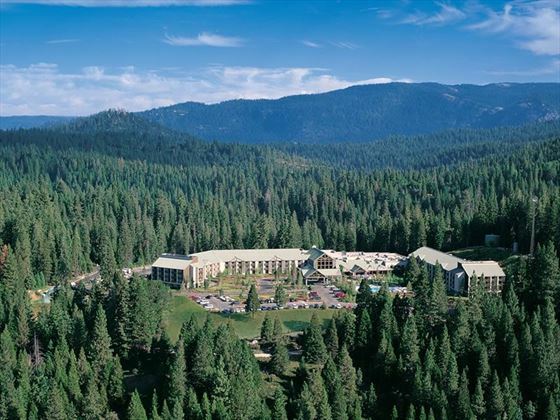 Transfers can be arranged for you from any hotel in Yosemite from USD$275. You do not need to be a resident of California to apply for a marriage licence. No minimum residency applies to overseas couples. Age - You should be 18 years and older to apply for a marriage licence. Couples will require the following necessary documents. You will need to obtain your wedding licence locally (cost is US$65). Transportation to the licence office is not included, however it is approx. 30 minutes away and there are regular buses and taxi’s available if you do not have your own car. 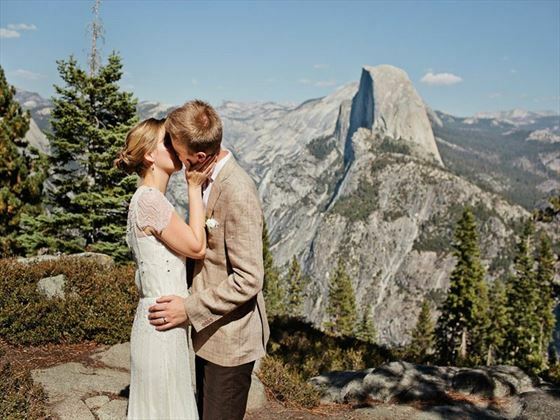 These are three of our favourite hotels in Yosemite National Park which are ideal for a wedding or honeymoon, but there are plenty of other great options available to choose from - please call us for details. 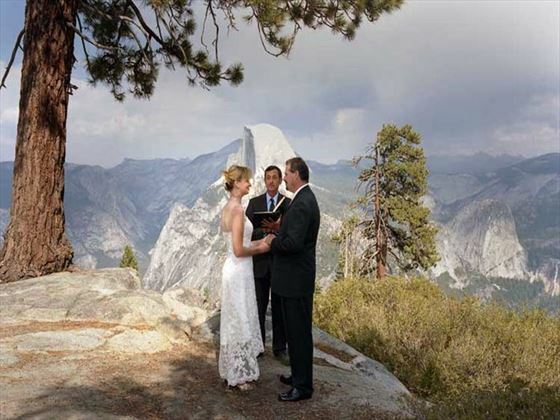 Why book your Yosemite National Park Wedding with American Sky?